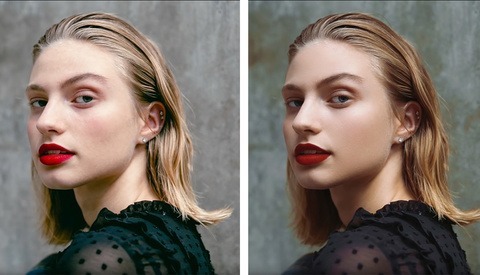 In addition to being the place where you perform a lot of edits on your photos, Lightroom is an excellent program for cataloging and organizing images. As you work over time, you're likely to have tens of thousands of images stored there, and it becomes crucial to carefully organize your photos so you can easily find and work with them. This great video will show you just how to do that along with some other helpful tips. 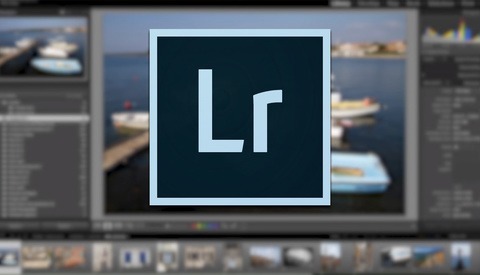 Coming to you from Nigel Danson, this video explores working with large catalogs of images in Lightroom and how to effectively import, cull, export, etc. When my catalog hit about 8,000 images, I started noticing I was having trouble efficiently moving through my photos, and perhaps my method of just guessing approximately when the shoot was and finding the dated folder wasn't exactly sufficient or efficient. I took a few days to go back through my catalog and properly organize, and now, as I near 60,000 images, I'm really glad I did, as it makes a huge difference in my workflow efficiency and capabilities. I recommend taking the time to watch Danson's video above, as he'll show you everything you need to know. I really need to do this. I've been through a few storage devices and I'm not sure that I backed up every single image I have. My frustration with needing to find a few old images on old hard drives along the way has me ready to blow it all up and start from scratch with an entirely new workflow. I just need to invest a few hours into streamlining everything but, man, it's tedious work. Do it! You'll be so glad you did! I have just done a BIG sort out and even started a new naming system by leaving out the month --- so now it's 2017 #### + possible subject. I use a very similar folder system to Alex, plus keywords but not so much collections as like flags they cannot be read by another Apps. Yep; ' it's tedious work ' but so is trying to find that sharp needle in a collapsed haystack. as I remember it is "Ctrl+Backspace" to del rejected photos from selected folder(s). I wish I knew why Lightroom defaults to a date-based folder structure. It might be useful in some cases but in general it makes things worse. Use metadata to structure your catalogues NOT folders! There is always to learn or re-learn with this sort of videos --- i like the Q1/Q2 idea instead months. After doing panoramas or other groups of images I take photo of my hand so I know where the set finishes --- doing a dud photo before starting is even better and when sorting the image I RED tag the set. I'm still not sure why anyone would still have this argument about whether a file is a 1 or a 2 or a 3 ......star photo. For me it's IN (flagged) or OUT (X) or Maybe (nothing added) . I then use the stars to show the editing progress with 4 being finished and 5 being a real favourite --- 1,2 and 3 are just a guide. Others may like to use colours Yellow (7) 1/2 done; Green (8) bit more to do; blue (9) finished although blue for me is "posted online". Purple is used to show if a PSD file has layers so I don't accidentally flatten the layers. I understand that your images are on your external drive and that they have been imported to LR (by links?) in your folder system. Does your folder system exist on the external hard drive or just within LR? If an image is modified, how do you identify the new image or is the original no longer available? Do you feel that this program is more than a hobbiest may need? If so, any suggestions for possible alternatives? 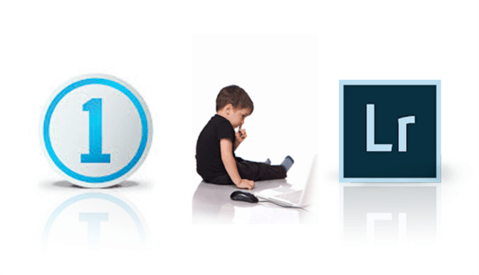 Do you recommend to store ALL YOUR PHOTOS IN ONE LIGHTROOM CATALOGE???!?!?! Doesn't it wrong in basics? I originally was going to use a separate catalog for each year initially when I started out, but have settled on just one catalog for my primary photos. I do have separate catalogs for things like Exercises (from training videos) and demonstration/presentations I do so they don't clutter up my main catalog but 95% of the time I'm using my main catalog. Unless you need to share photos or edits with someone else then having more than one catalogs is useful. Otherwise I don't personally think its necessary and may slow down your workflow especially if you have to flip back and forth between catalogs constantly. Good advice... I'm going to try sorting them into quarters like what is done here. I've done many other ways (all of my photos are sorted by year, and then are in subfolders below that): by date, by subject, by shoot name, and only the date method "worked" but after a while, I had to start remembering when shoots were to find them in the catalog. And with metadata, I can get away from dates in the Collection names and use metadata searches instead. At least with the Quarterly method, you just have to remember approximately when the shoot was done, but this still keeps it fairly seperate if you happen to visit a location a few times per year, but in different quarters. Definitely going to try this method.